Everywhere a sign! – Page 2 – Grammargeddon! Q: What do you call a neighborhood for hobos? Nothing instills confidence in your school like seeing a big typo on the sign by the front door. Just think: someone (probably many someones) had to write those words, create the sign, proof the sign, drill it into the brick wall, look at it, nod contentedly, and walk away, whistling a happy tune. 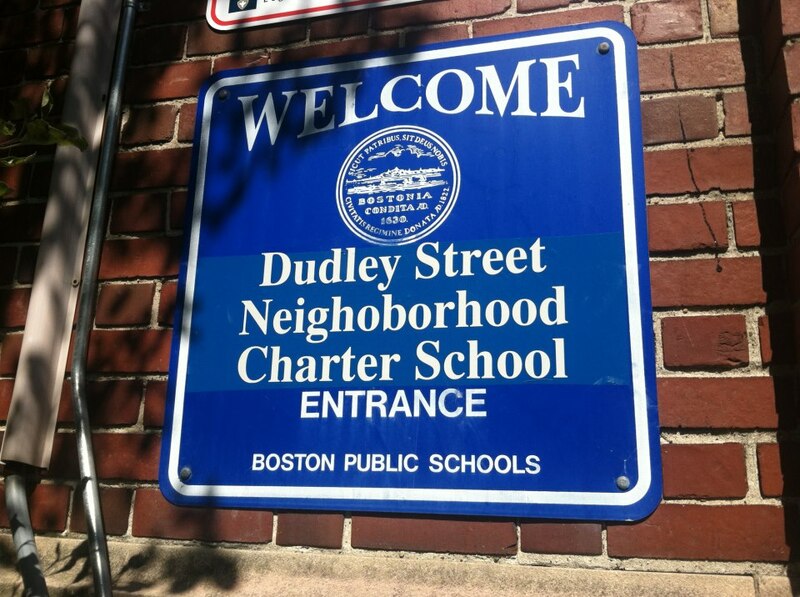 Kudos to the school for acknowledging the error and moving quickly to replace the sign. But this incident just goes to show you that, for good or ill, it’s hard to get away with typos in these days of instant feedback from social media. Because I like the word “portents” in combination with “signs,” and for no other reason, I made that the title. I’m sure you’ll deal with it in your own ways. Well, okay; part of my reason is also that I have this neat pic of a sign, which I’ve quite openly swiped from Amanda Patterson over at The Plain Language Programme (Aussies spell things with extra letters, just like the Brits do). All that’s needed to correct the problem is an “s” and an apostrophe. That’s all. Such a simple fix, yet so very far away . . .
Then there’s the gem I received via a Facebook message from a friend, Janet Deaver-Pack. She shared with me a typo from the cover of the newest catalogue from Bits and Pieces (http://bitsandpieces.com), which features a “secret book box” that I presume is like this one. I presume this, because the same error appears on this item. Look closely at the central “book” title. The last time I checked, something decorated with gold is “gilded.” Perhaps the creator of this product is a union supporter; that might begin to explain the typo. As Janet said to me, “There are dictionaries in the world.” Of course, some folks need the special “misspeller’s dictionaries” because after all, if you don’t know how to spell the word to start with, how are you supposed to find it? I have to say this isn’t a very common error, at least in my experience stalking the wild typo. In the coffee aisle (not isle) at the local big box department store, next to the pricey “designer coffee” with its own grinder, I spotted this sign. Maybe it’s missing a comma? In fact, this is such an uncommon example I stood there for a few seconds while my brain processed the information. I wasn’t in “editing mode” during this part of our trip, admittedly. Usually that mode is always engaged and running in the background. The delay rather unnerved me, truth to tell. However, once I realized what I was seeing, I snapped a photo for posterity (and you, kind readers) because it was just too good to pass up. As for my caption: I did come up with a rather unconventional correction that could conceivably make sense. Kinda. A little. Okay, not really, but it amused me to think of it. 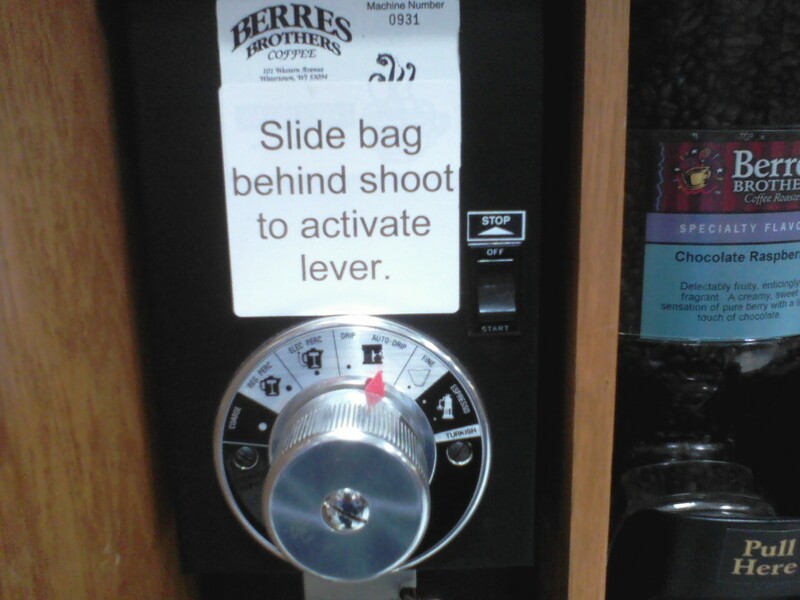 “Slide bag behind, shoot to activate lever.” Nice comma fault, that way, isn’t it? A semicolon makes better sense. I stumbled on this sign (well, not literally–it’s on a stand on a bin, not lying in the aisle) this afternoon while meandering around the nearby Goodwill store. I’m honestly unsure of why it reads the way it does. It could be that whoever was making the signs felt the need to be consistent, since the other bins are labeled “Men’s Bin,” “Women’s Bin,” and “Children’s Bin” (all correctly, which was in itself a pleasant surprise). Of course, the linens don’t own anything. Nothing in the bin is for use by linens. The bin contains linens, for use by people. I think “People’s Linens Bin” probably sounds a little bit too Chairman Mao-ish. The correct signage would be “Linens Bin.” That’s all. 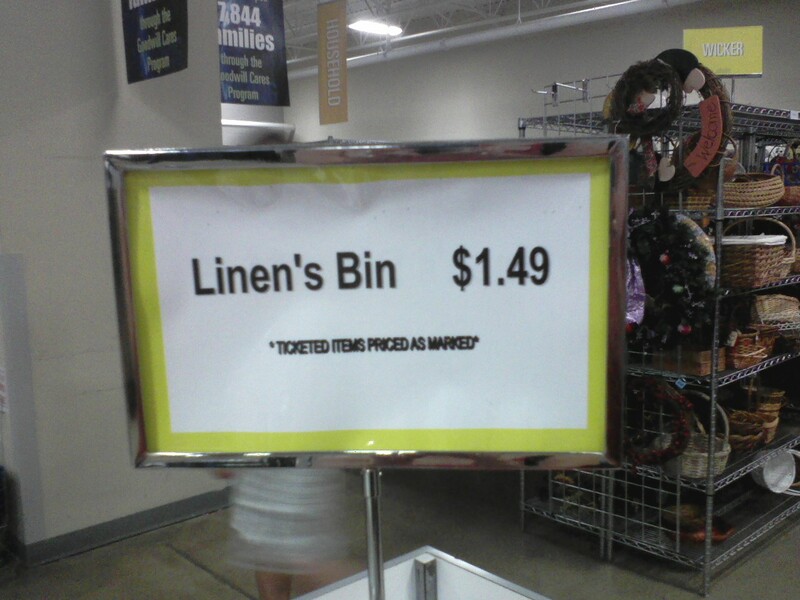 Just “Linens Bin.” Then, of course, it doesn’t match the other signs–and I suspect that’s where it all went sideways. I should note that I did not find any demons, demon souls, demon’s souls, or demons’ souls in Goodwill. At least, none that were labeled as such.